world of yoga for personal gain and for those who want to teach. The Inspired Living 200-hour teacher training is a comprehensive program that will transform your practice and deepen your understanding of yoga. Imagine - If you love yoga and are experiencing benefits such as more energy, vitality, calm and focus simply by attending classes imagine what the Inspired Living Hatha Yoga Teacher Training Certification Program can do for you. Join Us - If you’re curious about the science and wisdom of yoga and you want to learn how this practice can be included in your day-to-day so that you can feel energized and have more moments when you remain focused and calm even in the midst chaos, join us. If you want to strengthen and revitalize your body while improving your overall health, join us. If you want to enhance your sense of purpose so that your life represents your truth and passions allowing you to share your unique strengths and gifts, join us. And, if you want to learn how to share this powerful practice with others, join us. Your CommUnity - About 50% of the students take the Inspired Living Hatha Yoga Teacher Training Certification Program for personal development while the other half is preparing to teach. As the program unfolds, this ratio changes. Combined with trainer Sylvie Gouin`s guidance and ability to provide the knowledge in a manner that allows for integration, our group of 10 to 15 is ideal for a strong and supportive community and small enough to provide you with individual attention. Integration Model - The Inspired Living Hatha Yoga Teacher Training Certification Program is offered over the course of eight months and is presented in a manner that allows you to gradually integrate the information so that you can apply it in the reality of your every day life. The Inner Teacher - We are all students and teachers and being a great teacher is as much about providing guidance as it is about getting out of the way to allow for personal experiences. In this program you will receive a balance between guidance and space to deepen your intuition while learning how to do the same for others; a quality that enhances all aspects of our life. The Inspired Living Yoga Teacher Training is Yoga Alliance recognized. Asanas - You will learn the fundamental principles of asana practice. From beginner to moderate and advanced practices (if they suit your body), you will understand how to synchronize the breath and sequence classes for personal development and for groups with varied experiences. You will learn to offer the ideal warm-up and cool down to support the body of your sequence and will gain the confidence to teach sun salutations as well as standing, balancing, back bends, inversions, and seated postures. You will learn Sanskrit pronunciation of postures and will understand how to use traditional yoga practices in a practical and inspiring manner. Pranayama - You will experience the gifts of deep breathing from an anatomical perspective and you will also learn 5 powerful breathing techniques and how and when to include them in your daily practice and in your teachings. Philosophy and Psychology of Yoga - The Inspired Living Hatha Yoga Teacher Training offers in-depth teachings of the gunas (cycles of nature) and how to pranafy (energize) your sattvic (harmonized) nature. In addition, you will also gain in-depth knowledge of the yoga sutras (Psychology of Yoga) which include the valuable eight limb path and describes the process of meditation and how to move beyond mental obstacles. Anatomy and Physiology - Delve into the skeletal, muscular, digestive, endocrine and nervous systems; you will learn how yoga practice helps create strength and flexibility while balancing these systems. Subtle anatomy - You will experience the chakras (wheel of energy) and develop grounded and uplifting knowledge of Kundalini, nadis (lines of energy) and the five layers of our being known as koshas. Meditation, Mantras, and Mudras - From concentration to guided meditations to learning powerful mantras that bring clarity, lasting happiness and focus, you will understand and experience the process of meditation. In addition, you will learn mudras which are specific hand gestures designed to equally enhance meditation, health, vitality and a sense of inner stability and ease. Journaling - Based on Sylvie Gouin`s book Inspired Living a Guided Yoga Journal you will experience the powerful benefits of this ancient and impactful practice. Ayurveda - As a sister practice to yoga, the science of Ayur (Life) Veda (Knowledge) brings clarity to our individual expression and how it is impacted by seasons, age and times of day and provides techniques to experience maximum benefits from our practice. Nourishment and Cleansing - You will learn about the power of food and how to incorporate traditional and impactful cleansing techniques that enhance our radiance. ​Home study for the summer. Save your space with a $500 deposit. Balance due by March 12th 2019. $2700 + tax if registered and paid in full by January 31st 2019. Save your space with a $500 deposit. Fee includes a training manual (140 pages) and Inspired Living: a guided yoga journal book. The list of recommended books will be provided upon registration. We may be able to use some of the books you already have and we can share, allowing you to purshase books that work best for you. Refund Policy: Refunds are available until March 11th 2019 minus a $350 administration fee. As of March 12th 2019 no refunds for any reasons. Registration is OPEN for the 2019 program. Save Your Space Now with a $500 deposit. Paypal, online transfers, checks and credit cards accepted. 613.402.1088 to register or for further details. 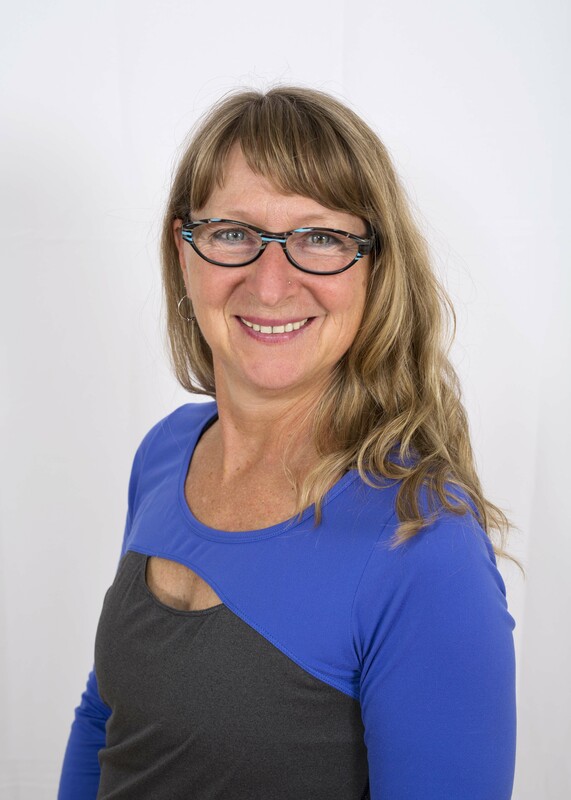 As a Holistic Lifestyle Specialist, Sylvie's expertise is expressed in her skills as a Yoga Teacher and Therapist, a Reiki Master, Ayurvedic Lifestyle Specialist, and Astrologer. With these being interrelated practices, the more we understand and integrate one, the better we understand and can integrate another. This is why Sylvie's lifestyle, teachings, and consulting services bring these interconnected practices to life. Every yoga teacher in training should have a strong grasp of how the body functions when in motion, from understanding breath mechanics to the make up of muscles to directions of movement. It becomes easier to teach safe, novel yoga classes with this knowledge at play. 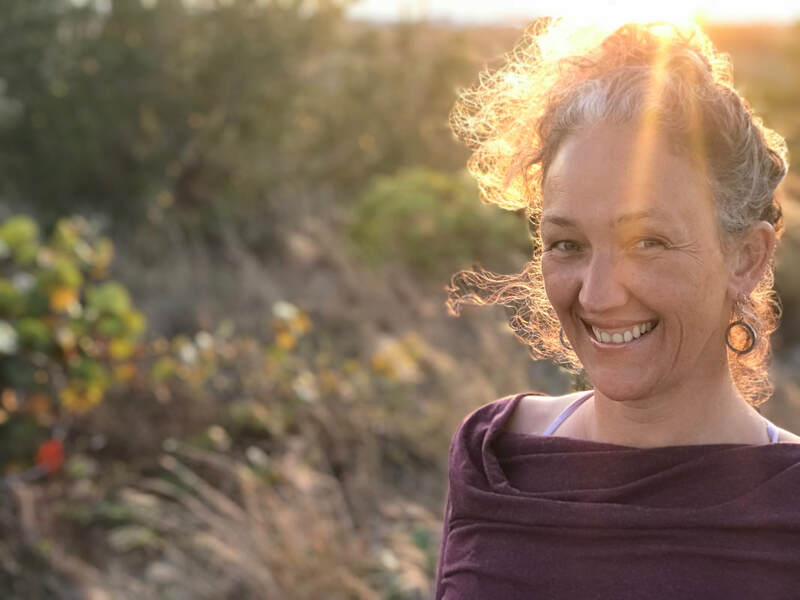 ​Writer and Yoga/Mindfulness Educator Jessica has worked (Canada and India) with about a thousand emerging teachers in the area of yoga philosophy, methodology, prenatal yoga and in facilitating transformationalexperiences and rituals. ​for 25 years. Specializing in the integration of somatic experiences in everyday life, her PhD work led her to study and practice Hatha and Yin Yoga. As her devotion to yoga deepened, her facination with the chakras led her to study the work of Anodea Judith. She is currently studying with Anodea. Her contribution to the Yoga Teacher Training offers an experience of the seven major chakras through Hatha yoga asanas, and a doorway to learning more about your own energy psychology. Martha holds an RYT-500 Yoga certification and has been teaching Yoga since 2008 with special certification received in Montreal in 2009 for Prenatal Yoga. Martha has been providing a safe and inspiring space for women to practice Pre and Post- Natal yoga since 2009. This workshop offers you an introduction to teaching Pre and Post-Natal yoga as well as growing confidence in having pregnant women in your regular yoga classes. ​We will explore a program that supports women in this time of their life and Yoga practice and sequences to help support optimal fetal positioning for birth. Energy. Focus. Inspired Life. Health. Happiness. "I have just completed Sylvie Gouin’s 200 hour Yoga Teacher Training. I heard about Sylvie from my own Yoga Instructor, was curious about her training program, and then met her. What can I say? I’ve never looked back. Sylvie is by far the best teacher I have ever encountered both within my professional and personal life. Her knowledge of all aspects of Yoga is extensive and her style of teaching is inspirational, confidence building and fun. This program has truly been a life changer for me and has inspired me to open my own private yoga studio. Sylvie, I cannot thank you enough for opening me up to the multi-faceted dimensions of Hatha Yoga and for giving me the opportunity to learn from you". ​"Yoga Teacher Training with Sylvie is a heart-opening,life-changing experience. Sylvie is an incredible wealth of knowledge, and yet she gently encourages you to find your own place and your own fit within yoga. Sylvie guides you on this beautiful journey with her unique blend of wisdom, faith, and love.Because of Sylvie and her guidance, I have full confidence in my ability to teach and share yoga both on and off the mat." "In 2009, I had the great pleasure, of studying with Sylvie Gouin and am a proud graduate of Yoga Teacher Training and Registered Yoga Teacher. Yoga wasn’t new to me, I had been practicing, on and off for some years. But, I felt an urge to learn more about the practice, a little nervous, I might add as to what I might be getting myself into, an opening up of Pandora’s Box. Although, as the training moved along, it led to this beautiful gateway of Self-Inquiry and places just waiting for me to arrive, a gentle invitation, to learn, discover and grow.The experience transformed my life. Through this training, combined with self-development work and a heck of a lot of faith, I birthed Uplift Consulting – which marries up Yoga and my background in Business.I’m honored to share with you insightful resources that I have gathered that have helped many people along their path. To use tools that help to ‘Know Thyself’ – is the greatest gift you can give to yourself." "Inspired Living Yoga Teacher Training with Sylvie Gouin was a life changing experience for me. The depth of knowledge that Sylvie brings to her teacher training is truly inspiring and profound. In this training I was challenged and supported both intellectually and emotionally. Additionally the guest speakers and other teachers who joined this training were highly skilled and shared their knowledge with sincerity and interest.I have taken many other teacher training courses in the past however this course exceeded all of my previous experiences and indeed my expectations. It was a wonderful opportunity I will cherish, share and never forget. Thank you Sylvie Gouin."